By virtue of the appeal of anonymity, the resistance group known as ‘Anonymous’ has become a worldwide phenomenon. Since anybody with basic knowledge of hacking or content creation, and with any motive, can rightfully claim to be part of this structureless organization, Anonymous is now more of a creative commons brand than anything. The FBI spent years dismantling the core group of hacktivists responsible for the formation of the original group, incarcerating much of the primary brain trust which made Anonymous (Anon) a serious threat to government and corporate actors. However, Anonymous’ branded use of the Guy Fawkes mask, as popularized by the movie ‘V’ for Vendetta, helped them to achieve international household recognition. The brand is now synonymous with civil disobedience and electronic resistance, and in this loosely bound way, the organization lives on. The beauty of Anon has always been its adaptive application of leaderless resistanceto a technology driven world, however, there appears to be an attempted coup taking place, and Anonymous as a headless social justice movement is being hi-jacked by a group of unknowns claiming this brand as theirs to promote a privately funded political party with a highly suspicious platform advocating for a one world government. Now armed with the trademarked names, the Voice of Anonymous™, and, THumP®, the co-opting of the Anonymous brand was recently introduced to the world in a 40 minute, professionally staged video announcing the public launch of The Humanity Party (THumP®). 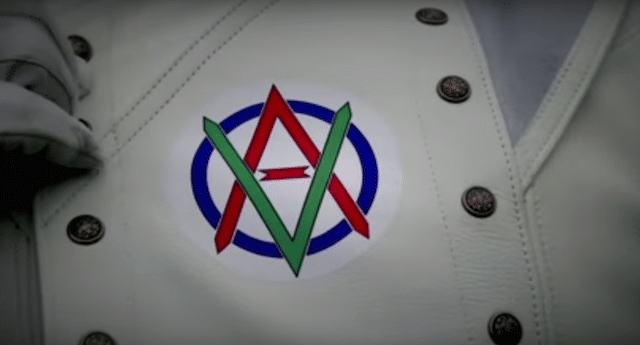 The video presentation features a messianic Guy-Fawkes-mask-wearing, leader-type figure, dressed in white leather emblazoned with a Freemason logo modified to present the letters ‘A’ an ‘V.” The use of secret society symbolism, such as the Freemason logo is ubiquitous in modern media, representing, in actuality, the very organizations and forces that Anonymous had always been resisting. 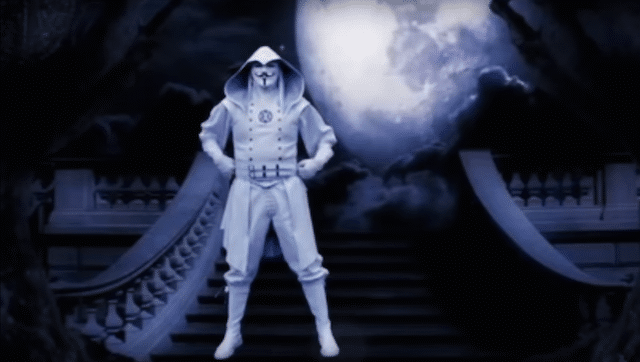 During the introduction to the video, the viewer is nonchalantly instructed to only pay attention to this voice, to accept it as the authorized, official Voice of Anonymous™, and to ignore any others. And, what exactly is THumP® trying to accomplish? “Establish and promote the possibility of a ONE World Governmentand a new Constitution that guarantees and provides worldwide basic human rights to ALL people of Earth. These inalienable human rights include the Five Basic Necessities of Life (“FBNL”): free healthy food and water, secure and safe housing, basic clothing, health and mental care, and education. Introduce a plan to unify capitalistic and socialistic agendas and ideologies to provide the FBNL free of charge. Promote peace and unity through education and common sense disclosures, thereby providing unprecedented evidence that the world’s major religions have been, are, and will continue to be the cause of the world’s social ills. As stated here and in the PR video, their primary goals are to abolish borders and national sovereignty, ban religion, to establish a global government that will protect the environment, protect animal rights and human individuality, while providing for everyone, the FBNL. To accomplish this, the US Constitution will be modified. Other key tenets of their platform, include: the need for individuality and diversity, the end of nationalism and national sovereignty, the abandonment of tradition, ideology, patriotism and prejudices, and the demonization of math, science and intellectualism. All of which are presented as opponents of human intelligence. If we are all united behind this platform, why will state violence and ‘military might’ be necessary to enforce it? The message is directed at the younger demographic of today’s activists, capitalizing on their justifiable anger at the establishment, and dumbing down complex issues to meet an overtly neo-liberal agenda. The video also comes off as anti-family, eerily reminiscent of the disturbing picture painted by George Orwell in 1984 of an all-powerful government who destroys the family by turning children into agent’s and tools of state ideology. These aims are suspiciously similar to the long-standing goals of world elite and powerful families who control the breadth of international banking and global industry. This is the ‘1%’ that Anonymous has combated in the past, and it includes the people, groups and institutions oft-referred to as the Illuminati, or the New World Order (NWO). To establish a One World Government. To bring about the utter destruction of all national identity and national pride. 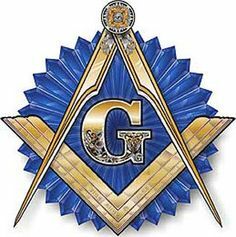 To suppress all scientific development except for those deemed beneficial by the Illuminati. To bring about the end to all industrialization. To introduce new cults and continue to boost those already functioning. To cause a total collapse of the world’s economies and engender total political chaos. To organize a world-wide terrorist apparatus. THumP® is propositioning young people to adopt the endgame of the elite, while posing as the resistance. This kind of psychological operation has been seen before, most notably in the production of the Koni 2012 pre campaign which aimed to engineer public support for military interventionism in Africa. As declared, the party does not accept donations, yet they are funded well-enough to produce studio quality staged video, professional press-releases, websites and videos. This would indicate that is privately funded, meaning that funds are coming from people who can afford to invest in propaganda, the 1%. A phone number on their site is from an area code in Pennsylvania. The THumP® campaign may be interpreted as, “Resistance is futile. So if you can’t beat ’em, join ’em.” The future of Anonymous as a resistance organization is in question. What are your thoughts on this operation and its meaning to true global civil resistance to state tyranny? Is this legitimate? Is it another propaganda campaign of the global elite, or another Soros operation? Is this somehow linked to Trump, Clinton and Sanders? This article (The New World Order Attempts to Hijack Anonymous) was originally created and published by Waking Times and is published here under a Creative Commons license with attribution to Dylan Charles and WakingTimes.com. It may be re-posted freely with proper attribution, author bio, and this copyright statement.